The Third Tuesday this month! The market for Clinical –strength and Professional skincare has been a growing category for the past few years. Now, with the advent of “Peel Bars” in retail stores such as Saks Fifth Avenue (BeautyRX-by NY dermatologist Dr.Neal Schultz), even doctors can be found in cosmetic aisles administering treatments at lunchtime that promise no downtime. The need for an “instant, even-toned complexion” as well as a fast fix to unclog pores and help prevent breakouts is an ongoing need addressed by estheticians and medical professionals alike, however, administering a 40% glycolic peel in under 10 minutes has its challenges. And how successful (and safe) are consumers who seek to self-administer peels sold on HSN in a home setting? And at what about the pH of critical peeling products? What are the FDA suggested parameters for peels for the retail consumer’s at home use, as well suggested limits for esthetician and doctor use? These are some of the questions that will be addressed by our two BIW speakers this month. 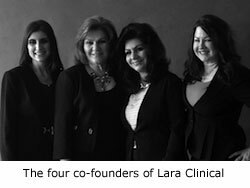 Founded by a collective of four world-wide aesthetic experts, Lira Clinical has quickly gained both global distribution and consumer loyalty as a leader in modern corrective skincare in just four short years. Based upon the philosophy that “today’s skincare should match today’s technology,” Lira Clinical is reinventing the way skincare professionals deliver their skin-enhancing art through smarter formulations, streamlined education, advanced ingredients, reduced downtime and multi-tasking treatments designed to deliver more results in less time. Our speakers will share their journey that has propelled Lira Clinical to quickly become “the next level of skincare” by using age-old skincare ingredients such as Mastiha, their exclusive ingredient from an ancient Mediterranean tree whose resin forms the “tear drop” of the tree, as well as leading edge plant stem cells and innovative peptides. 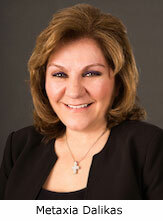 Francine Kagarakis is a Co-founder and member of the Board of Directors. Francine brings her knowledge of the latest technologies, innovative ingredients and ancient aesthetic secrets to the development of Lira’s smart skincare corrective systems. Prior to launching Lira Clinical in 2010, Francine had spent the past 20+ years working with well-known dermatologists, estheticians and chemists to develop and perfect numerous ingredient combinations for achieving the best possible clinical treatment results. Her total body approach and an in-depth knowledge of highly effective ingredients provided the basis for their initial line. Having previously served as an International Trainer for several skincare lines, Francine brought her passion for quality education to Lira, and a belief that both professional and client education are the keys to the successful introduction of specialized clinical-grade products to the wider, more savvy skincare audiences of today. 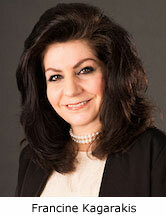 Metaxia Dalikas, LE is also a Co- founder and member of the Board of Directors at Lira Clinical. Metaxia is internationally recognized for her expertise in advanced aesthetic treatments, education and chemical peel formulation. She has worked side by side with world-renowned dermatologists and chemists over many years to assemble her extraordinary wealth of clinical skincare knowledge. Her knowledge of skincare distribution and training as well as chemical peels, waxing and product formulation, has made Metaxia an essential component in Lira’s success.Having over 30 years in the medical and professional aesthetic treatment industry led Metaxia to open a successful chain of professional aesthetics supply houses and training centers more than a decade ago called Aesthetics Plus and Aesthetics Plus Advanced Training Centers currently located throughout the U.S..
Dessert – Raspberry Sorbet topped with Fresh Berries, and served with Freshly Brewed Coffee, Tea & Iced Tea.